The Dunlop X-life 1.22mm squash string set is 10m (33ft) long, which is enough to re-string one racket. 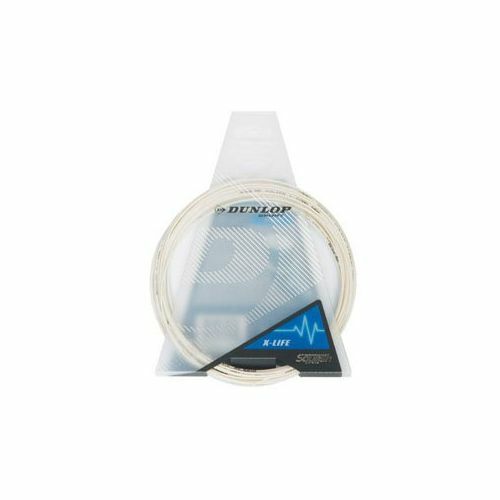 The Dunlop X-life has a gauge of 17 (1.22mm) and features a compressed central core constructed from resilient multi-filaments that improve the string’s playability. An outer wrap of this extremely durable squash string is made from twisting powerful mono-filaments, which helps maximise its reactive energy properties to ensure an excellent performance while playing. for submitting product information about Dunlop X-life 1.22mm Squash String Set We aim to answer all questions within 2-3 days. 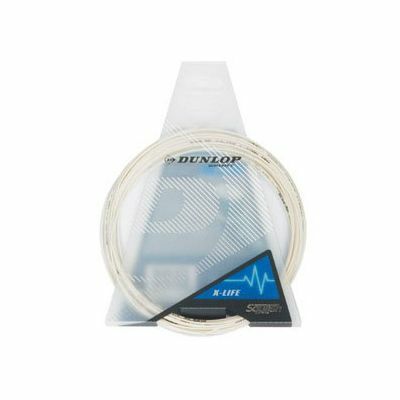 for submitting product information about Dunlop X-life 1.22mm Squash String Set. We aim to answer all questions within 2-3 days. If you provided your name and email address, we will email you as soon as the answer is published. Does exactly what it is supposed to do, lasts and plays well. for submitting product review about Dunlop X-life 1.22mm Squash String Set.